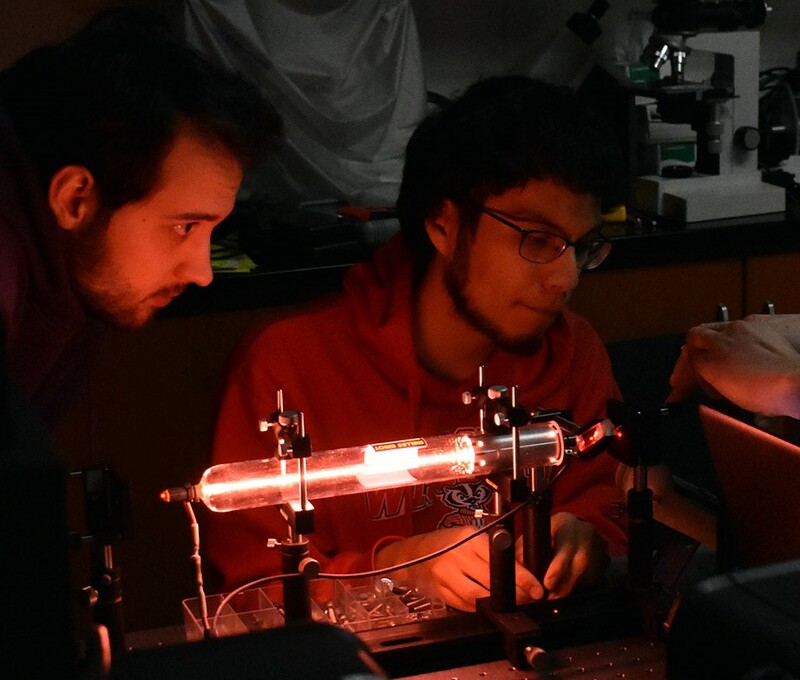 While a Helium-Neon (HeNe) laser is definitely ‘old-school’ laser technology, this experiment provides students with an opportunity to see and adjust each element needed to produce a working laser. The apparatus used is an ‘open cavity’ HeNe laser that consists of a HeNe laser tube with bare windows at each end instead of hard-sealed mirrors. The mirrors that form the laser cavity are in separate mounts and need to be aligned with the axis of the tube to provide the feedback necessary to produce lasing. The open cavity also provides access to the interior of the laser cavity, where students can place elements to control and study the polarization and mode structure of the laser beam. Aligning the cavity is neither trivial nor obscenely complex, giving students an opportunity to gain confidence with their optical alignment skills, in addition to learning some spectroscopy techniques. Investigate the electronic transitions involved in the lasing process by viewing the spectrum of the spontaneous emission of the laser tube. If time allows, participants may investigate the longitudinal mode structure of the laser, use mechanical Q-switching to make the laser operate in a pulsed mode, make a ring cavity laser, or other extensions. Participants do not need to bring anything besides themselves, though they may want to bring some means of taking notes about their procedures, and a way to save any data files. Safety: exposed high voltages and laser light will be present during the experiment, but laser safety glasses will be available as needed. Estimated Cost: Ealing sells a basic open-cavity HeNe laser system for $3500; Leybold has a very sophisticated system for about $39,000; a tube, power supply, and mirrors (but not mounts) can be purchased from LASOS for approximately $2500; and reliable used equipment can be found (Sam Goldwasser's "SamsLaserFAQ", for example) for much less, though the selection may be limited. 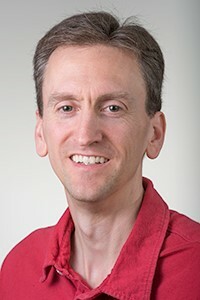 Lowell McCann is a professor at the University of Wisconsin – River Falls, where he teaches a wide variety of physics courses including Advanced Lab and Optics. He is biased toward experimental physics, and in particular toward undergraduate experiments that require students to build their setups starting with an empty table. Lowell McCann, Univ. of Wisconsin – River Falls, Physics Dept.